While the Department of Building and Safety picks on, harasses, and cites middle class homeowners for trivial violations such as sagging fences and untagged cars parked in private back yards, the DBS skips over the lower class homes and businesses. 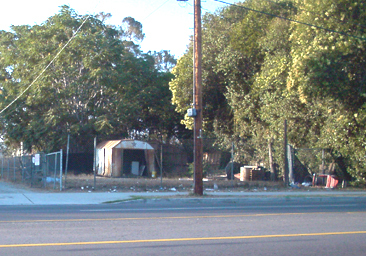 There is no pro-active code enforcement in some sections of Van Nuys. Because no one complains, the LAPD and the DBS don't bother to cite the owner. But even when someone does complain, little action is taken to make the owner comply.